Credit predators are everywhere. 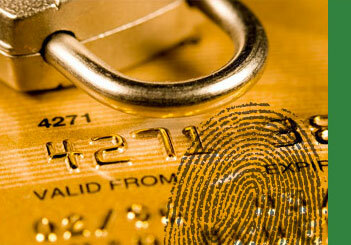 But did you know that credit fraud is only a small fraction of all identity theft fraud that takes place? First Security Bank is committed to protecting what’s yours with a complete Identity Management Services package backed by a leader in ID theft monitoring. Get immediate and direct access to experienced professionals and learn the best ways to protect your personal information. We’ll provide safety guidelines for all online interactions and provide all members with information regarding your rights under state and federal laws. You’ll receive the best consultation and access available to learn more about consumer privacy. Should your information be compromised, we’ll establish an action plan and help you analyze and interpret your credit reports. Along with this, we’ll alert you the second a fraud is spotted and discuss your credit freeze options. Beyond confirming the nature and scope of the ID theft, we’ll assist in obtaining a police report and provide complete credit and non-credit searches to identify any further fraud. We’ll work on your behalf to resolve all issues with the credit agencies and provide complete victim documentation when applicable. Begin to limit your exposure and protect your identity. Call a First Security representative today or visit any one of our branches in person to enroll.